A true Scot if er’ there were one! Angus: Not true! 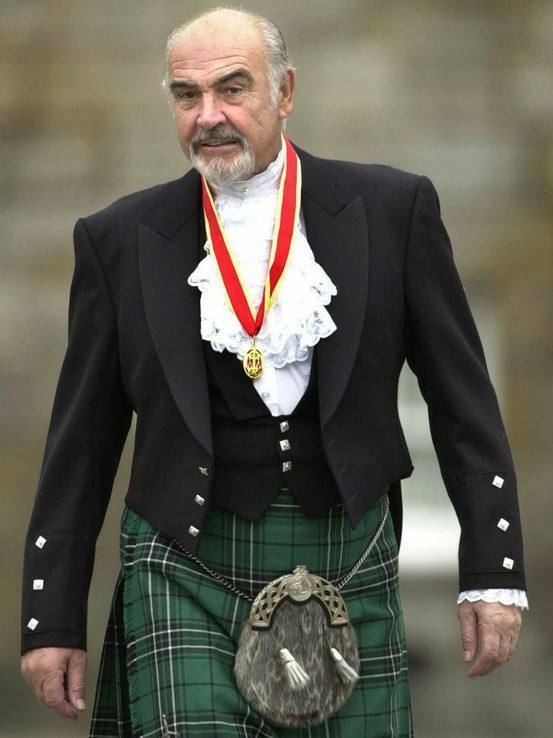 I’m a bonnie Scotsman, and I wear underwear under me kilt! William: Ach! Then yer nee a true Scotsman! Away with ye! Ben: No scientist is religious. David: Woah, um, have you actually checked? Because I have this whole list of scientists right here who say that they are Christians! Ben: Psh, Christians? Then they can’t be real scientists. Richard: Well just read this account of a man who was tortured by fellow Christians because he didn’t belong to their church! They killed his family, burned down his house, then tortured him! Alister: Richard, anyone who would kill a family, burn the house down and then torture a man because of his beliefs really isn’t much of a Christian. Richard: Ah HA! You just used the no true Scotsman fallacy! Notice that this isn’t a case of Christians excusing horrid actions done in the past. On the contrary, it involves Christians today condemning those actions. But they do excuse Christianity of being the culprit, on the grounds that someone who carries out these actions is “not a true Christian,” or “not much of a Christian,” or something worded along those lines. This, it is alleged, is fallacious, being just as ad hoc as the no true Scotsman argument. C1 and C2 are generally accepted, and Christians assert L. One can resolve the apparent contradiction by changing “Christian belief” to “true Christian belief”; this new proposition C2′ is often denied while accepting C2. Doing so allows one to retain the label “Christian” for things like papal edicts, sermons in churches, etc., while at the same time distancing oneself from unsavory acts. That’s exactly the True Scotsman situation. Here’s my first question: How is “Christian belief” really different from “true Christian belief”? Not in any way, say I. When I say that “John Brown was not actually motivated to chop his girlfirend up into little pieces by true (or “truly”) Christian beliefs,” I mean that “ John Brown was not actually motivated to chop his girlfirend up into little pieces by Christian beliefs, even though he might have incorrectly thought otherwise.” In other words, either John held some beliefs that weren’t Christian beliefs at all, and they motivated him to do this terrible thing, or else John held Christian beliefs, but was motivated to do this terrible thing by something else. But to the main point: How is this fallacious? In particular, how is it like a “no true scotsman” argument? In order to answer this, I’m going to let slide possible oversimplifications and caricatures about what the Crusdades actually were. Let’s just say that the Crusades involved people doing really bad things to each other. In order to introduce the suggestion that actually this is not like the no true scotsman fallacy, allow me to use a few other examples where I think most of us (hopefully all of us) will agree that the reasoning used is not fallacious. Ken: No atheist believes in God. Ben: Oh really? I’m not so sure about that. Bob over here says he’s an atheist, and he believes in God. Ken: He believes in God does he? Then he’s not a true atheist after all! Nick: No communist supports the free market. Matt: Are you sure? I’m a communist, and I think the free market is pretty good idea. Nick: What? You support the free market? Then, my false comrade, you are not a true communist. Jill: I’m an environmentalist. I believe in looking after the planet! Deane: Oh, so what’s that you’ve got there? Jill: It’s a chainsaw. I’m off to cut down trees in the rainforest so that a new apartment complex can go up. Deane: Holy cow! Some environmentalist YOU are! I think that all readers who understand what is being said in these three conversations would endorse the last line in each, where someone is accused of not being a true X (atheist, communist, environmentalist). The reasons are slightly different in each case. In the example of atheism, Ben isn’t a true atheist because atheism is a propositional belief, and Ben fails to hold that belief. In the second example, Matt isn’t a communist because communism is a system of values and social policies that reflect those values, and Matt rejects those values and policies. In the third example, Jill turns out not to be a true environmentalist after all, because environmentalists protect the planet, and hacking down rainforests is no way to protect the planet. Why then is there a persistent objection to Christians who say something like “well, a person who tortures someone else for their beliefs isn’t a true Christian,” on the grounds that it is a fallacious way to think? Notice that Locke challenges two things: secondly he challenged the thought that these cruel things were being done for other people’s good, which is what the perpetrators of the acts had claimed. But firstly, he denied something by calling it a “pretence.” He said that these evil deeds were being done upon the pretence of religion, which here meant Christianity. These persecutions, Locke was saying, were not really a true expression of Christianity, however much the persecutors might have pretended that they were. I have yet to find anyone complaining that Locke was guilty of using a “no true Scotsman” argument. For if it be out of a principle of charity, as they pretend, and love to men’s souls, that they deprive them of their estates, maim them with corporal punishments, starve and torment them in noisome prisons, and in the end even take away their lives; I say, if all this be done merely to make men Christians, and procure their salvation, why then do they suffer “whoredom, fraud, malice, and such like enormities,” which, according to the apostle (Romans 1) manifestly relish of heathenish corruption, to predominate so much and abound amongst their flocks and people? These, and such like things, are certainly more contrary to the glory of God, to the purity of the church, and to the salvation of souls, than any conscientious dissent from ecclesiastical decision, or separation from public worship, whilst accompanied with innocency of life. Locke, Four Letters Concerning Toleration, 3. But I digress. The bottom line is: What, exactly, is so wrong with Christians who distance Christianity from the horrible deeds done by those of the past, saying that they weren’t done on the basis of “true Christianity”? Could atheism be a properly basic belief? Previous Previous post: Galileo part 2. Yes folks, he was wrong. Next Next post: Relativism or human rights? One of the things I’ve learned over the years is that once you get beyond the bleedin’ obvious (e.g., the Law of Non-Contradiction), a lot of these ‘fallacies’ that are thrown around are actually not fallacious all of the time – they only are if the argument is under-developed or not sufficiently clarified. The ‘No True Scotsman’ is a great example of this, as you’ve shown here. The other one that leaps to my mind is the so-called ‘Slippery Slope’, which can be fallacious under certain circumstances* but usually isn’t, in my experience. *For example, saying ‘A necessarily leads to B’ could be a Slippery Slope fallacy. Saying ‘A will probably lead to B, because of reason X’ is not at all a Slippery Slope fallacy. It might be untrue, if reason X is incorrect, but it’s not a fallacy. Egad, I must sound like a dunce then!